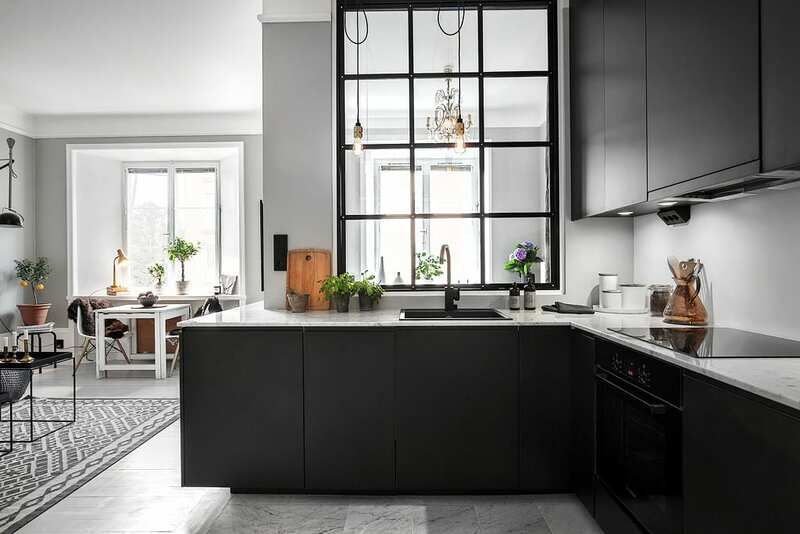 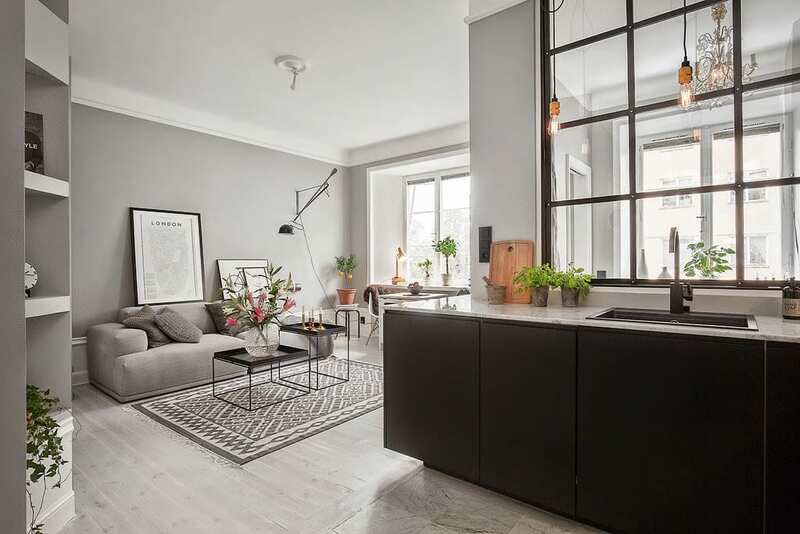 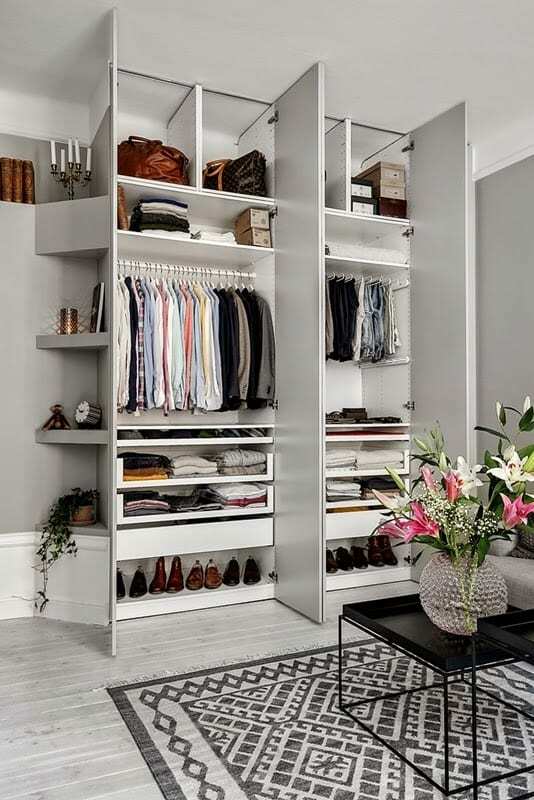 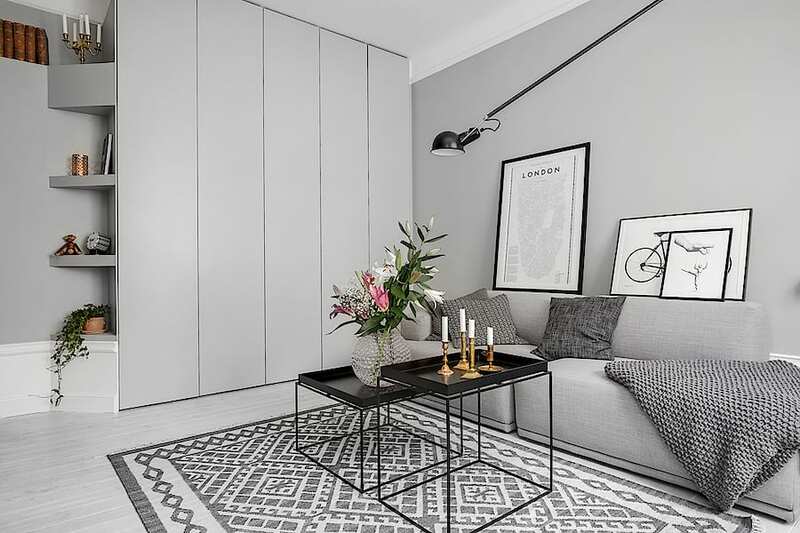 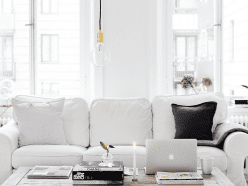 This small apartment in Stockholm proves that size doesn’t matter. 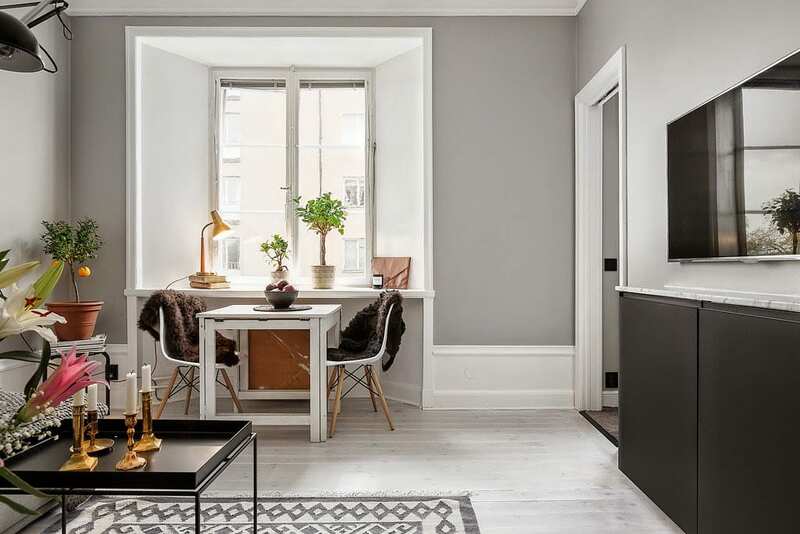 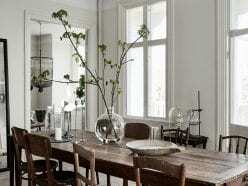 The uniform pale grey walls throughout the apartment make it feel larger than it is. 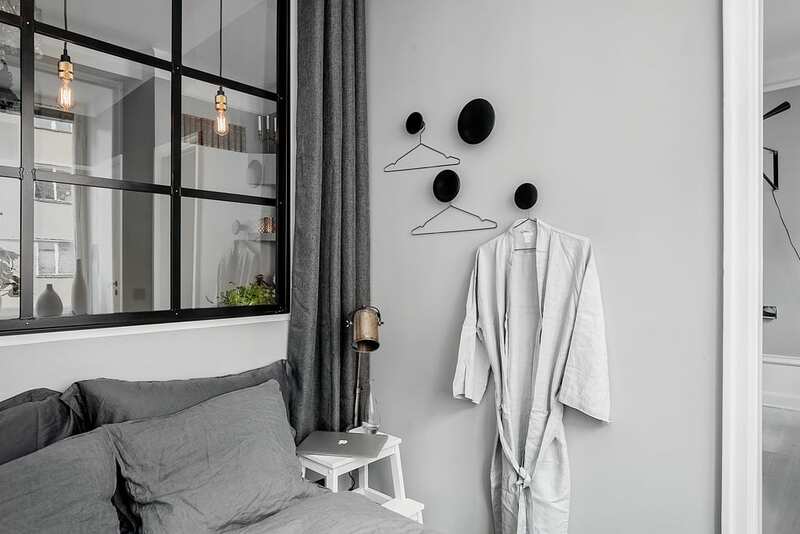 A small box partition divides up the L-shaped space to provide an easily closed off sleeping area. 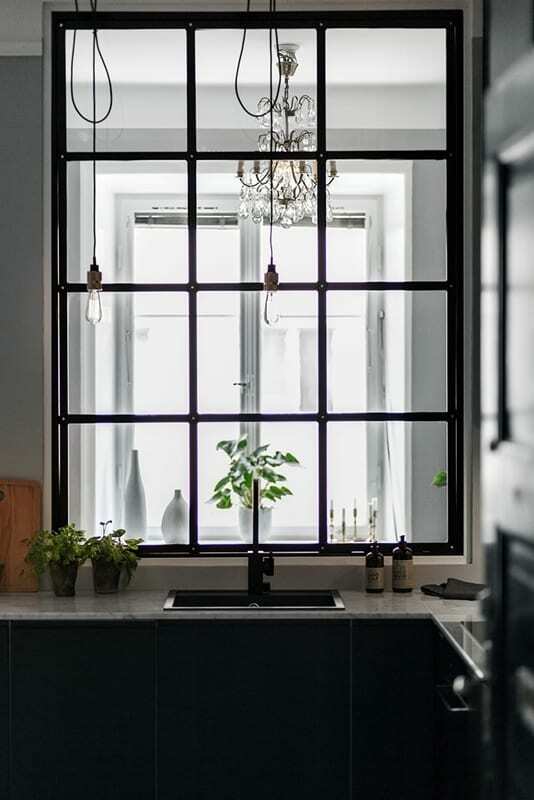 A large internal window allows light to travel through the bedroom into the kitchen, meaning the whole apartment is light-filled. 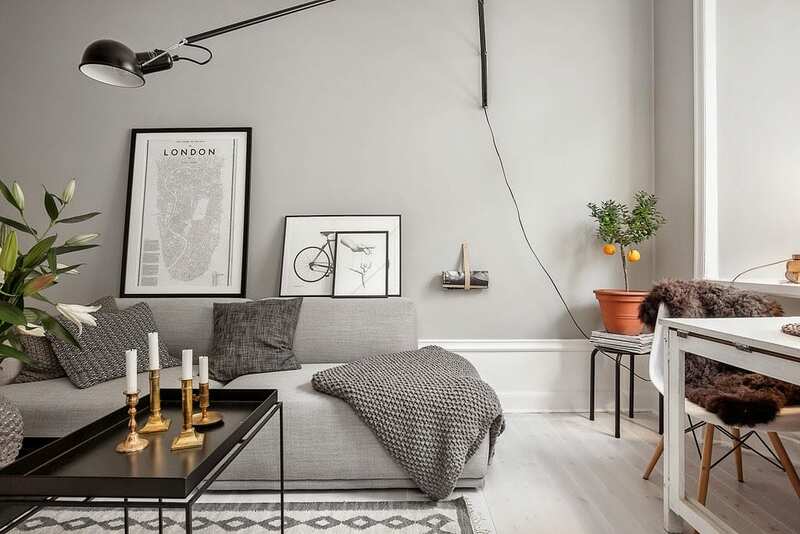 Well chosen accessories break up the grey palette; fresh herbs, a wooden chopping board and a copper jug in the kitchen; brass candlesticks, fresh flowers and a small citrus plant in the living area; and in the bedroom a vase of hydrangeas. 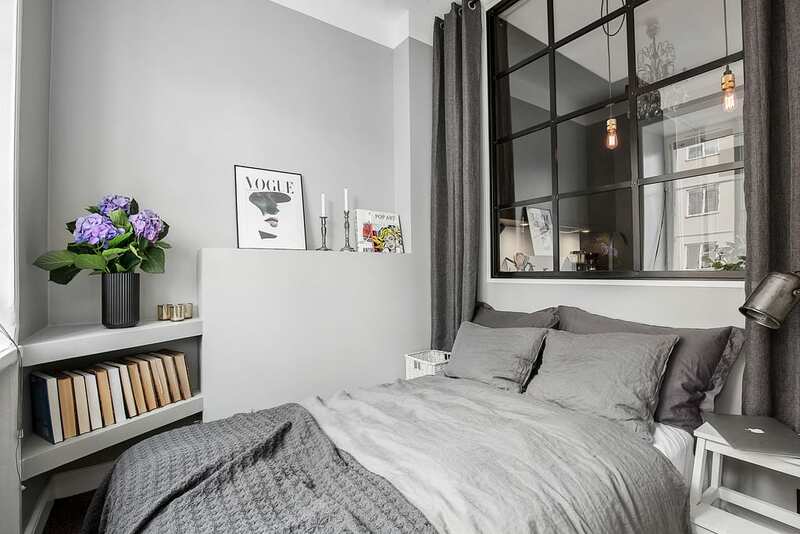 With a simple palette, the use of various textures is really important to create interest, from the linen sheets in the bedroom to the textured throw and cushions in the living area, these are vital for creating warmth and preventing a clinical atmosphere that a lack of colour can sometimes create.